This weekend, you'll finally have the chance to attend the greatest and most important event that has ever existed: Ninja Turtles vs. G.I. Joes Two-On-Two Basketball Tournament The Bacon, Beer, and Sports Celebration. Put on by the fellas at Bacon Sports, this thing goes down on Saturday, from 2-6p at Union Station, and to sweeten the pot, they’re giving Thrillist readers a 40% discount on tickets with the promo code “Thrillist”. And because the pot still isn't sweet enough, we’ll also be giving away a pair of tickets today to someone who tweets THIS. Should you need further convincing (you totally do! ), here're a few reasons why you’ll want to be in attendance. There’s plenty of bacon. You'll be able to chow down on bacon-y creations (bacon Buffalo mac & cheese, biscuits with bacon jam) from the chefs at Frontier, Porkchop, Buzz Burger Bar, The Florentine, and Hutch. There’s plenty of beer. You’ll have 30 craft brews to choose from, including Lagunitas, Goose Island, Ale Syndicate, Bell's, Argus, and Magic Hat. They’ve got you sports junkies covered. There will be Nerf guns, four Pop-A-Shot hoops games, a golf putting green, sports trivia, and TVs showing the college games. There will be fun ambassadors. Their only goal is to have fun. Really. You will be praised for your bizarre sports jersey. 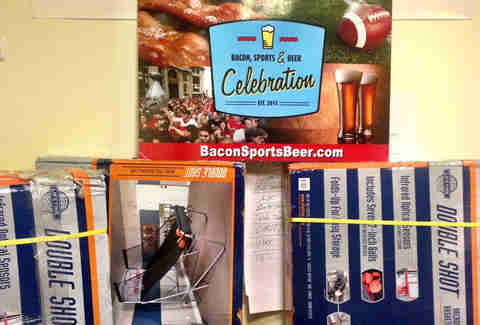 Go hard in the paint with your sports attire, and you could be named the Bacon Babe or Bacon Bro of the celebration. Wear that “QB Eagles” Tecmo Super Bowl shirt, and you WILL be named the Bacon Babe or Bacon Bro of the celebration. The action photo booth. 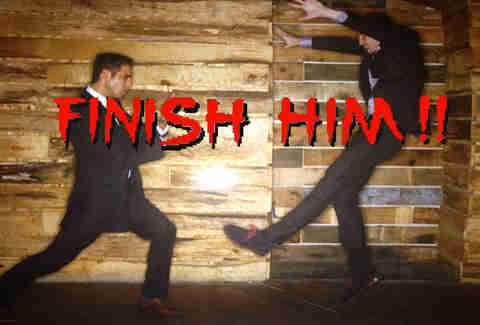 Because lame photo booths are best saved for your cousin’s cash-bar wedding, they're doing an action photo booth big enough to re-create every fatality from Mortal Kombat. Picture you rollin’. There's a 100% chance the DJ will play 2Pac and Biggie. We asked. Eye candy. For all single dudes (all the single dudes!) 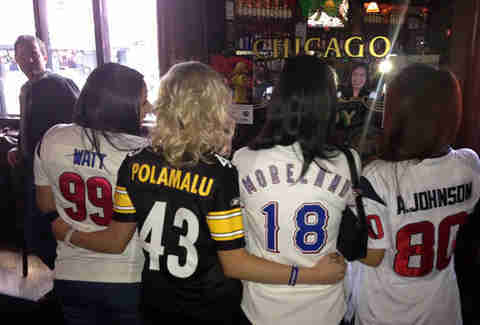 there will be lots of girls who like sports.